Carly's playing is varied, sophisticated, and often has a bit of a swing to it. Though Carly stays in the pocket, his groove embellishments and transitions display an eloquent vocabulary of syncopation and understanding of clave-based (African) rhythm. Here are a few examples. 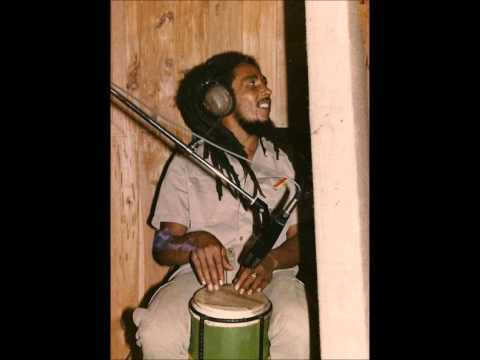 Modern reggae drummers unfortunately often simplify Barrett's beats, or play songs faster than the grace notes can be played. Note the often used (One Love, War, Zion Train,...) triplet embellishment on hihat & cymbal at the end. 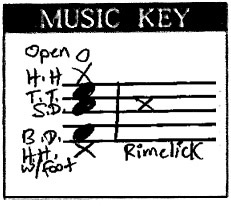 Carly used this phrasing often, sometimes replacing hihat/cym with cowbell dancing around the African Triplet (clave) cross-stick. Some of Carly's most brilliant composition is demonstrated in his hihat polyrhytms. half-measure syncopation adds brief waves of tension (interest), which is released in the straight hihat in the second part of the measure. Hihat syncopation example: "The Heathen" (highlight the accents). ​Hihat syncopation example 2: "Exodus"